I'm just a little girl lost in the moment. I'm so scared, but I don't show it. I can't figure it out. It's bringing me down, I know. I've got to let it go and just enjoy the show. Never really said too much. Afraid it wouldn’t be enough. Just try to keep my spirits up when there’s no point in grieving. It doesn’t matter anyway, words could never make you stay, words will never take your place when I know you're leaving. I remember you made me believe that tomorrow and today the sun would hold our hands. But the night came in to stay while you made other plans. I remember time. I remember days slid into years. Building lifetimes, thinking you'd be here. But tomorrow and today, well they misunderstood. And you went along your way, I think you're gone for good. You're pushing and pulling me down to you, but I don't know what I want. You're leaving me breathless. I hate this, I hate this, you're not the one I believed in. I see your face in my mind as I drive away. None of us thought it was gonna end that way. But people are people and sometimes we change our minds. It’s killing me to see you go after all this time. It’s two a.m., feeling like I just lost a friend. Hope you know it’s not easy for me. And we know it’s never simple, never easy. Never a clean break, no one here to save me. You’re the only thing I know like the back of my hand. It's a crime you let it happen to me.. Out of mind, forget it, there's nothing to lose but my mind and all the things I wanted. Never mind, forget it, just memory on a page inside a spiral notebook. If you're gonna leave, well you better get going. I ain't wasting no more time on what you did and what you didn't, so if you're gonna leave, you better start running. I ain't wasting no more time on what it might have been. How can I decide what's right when you're clouding up my mind? The truth is hiding in your eyes, but you think that I can't see what kind of man that you are. If you're a man at all. I keep knocking on wood , hoping there's a real boy inside. But you're not a man, you're just a mannequin. With you, there is no guarantee - only expired warranty. A bunch of broken parts, and I can't seem to find your heart. It will stick to your face." I've been thinking lately about the different men/boys/guys who have affected my life. Specifically, ex-boyfriends. -I guess we have to start with M. But, the first time around didn't necessarily change me much. I think it gave me some confidence in myself, despite my overly-tall awkward Amazonian figure at a premature age. -The various guys between 9th and 10th grades: Dan P & C, G, E, (am I forgetting someone?). Not a whole lot taken away from these "relationships", not really even many memories.. lol Sad. Alas. -And then there was Ryan. Oh, dear Ryan. I remember the first time I saw him, at that end-of-the-year Vignette meeting before summer, to meet the new would-be Sophomores on the staff. Me and Kayleigh leaned to eachother and said "Look, we have a new guy! Hope he's not gay.." (the irony.) Ryan was an overachiever, straight-A student, involved in so many things.. he helped me open up. He encouraged me to try out for Guys and Dolls, and fight for a lead part. He gave me confidence to actually perform that lead role. He gave me butterflies. He loved his mom, treated her well. We sang together, we were that perfect high school couple everyone wanted to resent but couldn't, because they loved us. He showed me, and the memory continues to show me, that it is possible to find someone who actually feels the same about me as I do about them. -Juanfer. He taught me that I can actually be literally swept off my feet. But that when that happens, it's mostly the charm rather than actual true feelings that gets to me. When it comes down to a real relationship, I don't need to be swept off my feet. -M., take two. He taught me I can easily allow myself to think I'm in love with someone because they're in love with me. He taught me there *are* good guys in the world, but that just because a guy is decent doesn't necessarily make him automatically "the one". He taught me that I'm capable of breaking someone's heart. -JD - Again, there are good guys in the world, but just cuz he's a good guy doesn't mean he's the one. And, I really don't like casual relationships. -EW. Unfortunately, cheesy as this sounds, he taught me about love at first sight. He taught me about feeling so happy you literally can't contain it, and can't help but just laugh out of pure happiness. He taught me about confusion, and most of all, about what it feels like to have a broken heart. He helped me learn how to keep my feelings in control. How to separate myself from that side of me. Because you have to, to survive. He made me learn how to stand up for myself. He gave me a need to be clear on motivations and objectives. He showed me how blurry the lines that separate "relationship" from "non-relationship" can be. He taught me that maybe love doesn't go away, but just because you love someone doesn't make them right for you. He taught me about speaking my mind. He made me realize that there are people in the world who I can communicate with who'll understand what I'm saying, and know I don't mean to judge and I won't be judged. That there are people who can appreciate my bizarre gift of innately understanding someone. He taught me how to forgive, too. He is still teaching me how to have a truly loyal friend and how to be one in return. I don't need someone to sweep me off my feet. I don't need someone to lead me, and I certainly don't want someone who can only follow me. I need someone who is firmly grounded, who has his own opinions and doesn't need to rely on mine. I won't settle for someone who doesn't make me feel. Who comes around and is just so friggin awesome that he blows all my walls down. Who sees me through my reserve. I don't want to have reservations. I want to feel like I know I can feel. Talking to my mom makes me realize that life really is pretty good right now. Or, at least, it's not bad. I'm fairly successfully saving up money. I paid off 1/4th of the remaining balance on my car loan today. It should be paid off by the end of the year. I've lost almost half of the weight I want to lose, in just over a month. That's a lot. I have a chance of doing pretty well in my classes this semester. I'm in general able to stay alert and pay attention at both work and school. Not much is happening socially, but that's honestly not too much of a loss in my opinion. At least for now. Every day, my desire to go live abroad gets stronger and stronger. Most philosophers agree on pretty much only one thing: knowledge=best. They all disagree on what exactly constitutes knowledge, but all essentially say that the attainment of knowledge is the path to all fulfillment. (Except for maybe Hobbes, but who likes Hobbes anyway. What a jerk.) 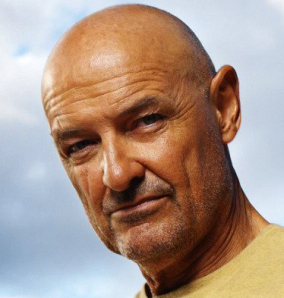 In my Theory class, we just talked about John Locke (see images below) and Kant. Locke believed that when we are born, we start out as a complete blank slate- Tabula rasa - and all knowledge comes from experience. We have the ability to reason, and all of this capacity to contain information and interpret it, but it takes actually experiencing a person, place, object, etc to truly know it. So in this mindset, I have no knowledge of the world "out there" because I have no experience of/with/in it. Knowledge is paramount. Therefore? I must go. Thanks for backing me up, Locke. What do you do when you can't seem to stop loving someone you don't even really want to be with? Sometimes I just get really mad. I get angry about where I am in life, or rather.. where I'm not in life. I had a plan. I was going to go to BYU, major in Physics - Astronomy, and go work for NASA. But once things started to get tough, I gave up and decided it wasn't for me. Then I changed my plan. And started it. And failed it. And changed again! And look, I'm still nowhere. I mean sure, I've got another plan that should actually get me to a diploma, but what am I really going to do with a little flimsy piece of paper that says "Congratulations, you've spent enough wasted energy at this place, we'll give you some big BS in Sociology!" I should have graduated this year. I should be in graduate school, or interning at some awesome company, or touring the world, or something. Rather than this big fat nothing. I should have had a life! Hey, don't look at me like that. It's my blog. I'll go for however long I'd like without updating! Take that. Today's pet peeve = when people use the word "downloading" incorrectly. For example, when a customer says: "I need help downloading the program to my computer" When they really mean: "I need help installing the program." Come on folks. Downloading is completely different from Installing. Why do some strangers have a stronger impact on your life than others? Why is it that with some people, you remember almost every word they've ever said to you? How can certain songs carry so many strong memories? Why is it that no matter how hard you try, there is no way to completely remove some people from your life? Why is it sometimes so complicated to take the simplest route? which the answer is obvious. And you know where to go.